Place of Birth: Yonkers, New York, U.S.
Tonya Lewis Lee is an American television producer, author, entrepreneur, and advocate for women and for infant health. She is the daughter of Lillian Charlotte (Glenn) and George Ralph Lewis, a consumer goods company executive. 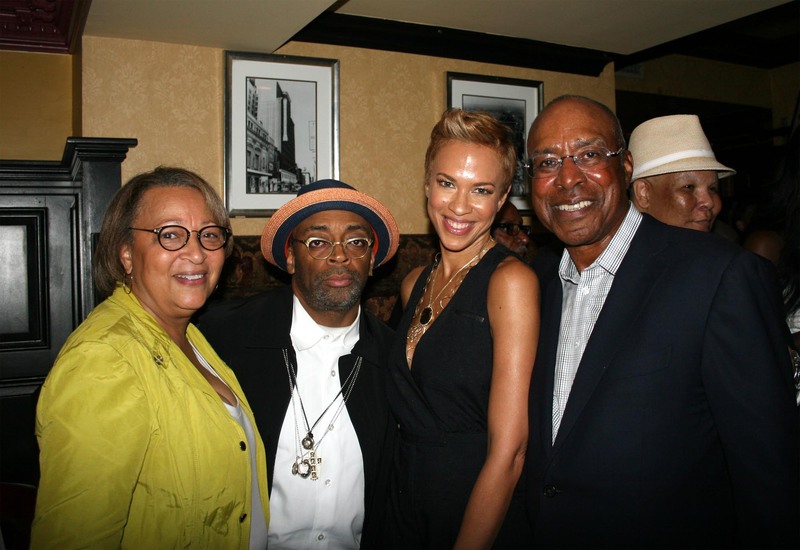 Tonya is married to film director, filmmaker, and actor Spike Lee, with whom she has two children. Tonya’s paternal grandfather was Spencer Harcum Lewis (the son of Theodore Lewis and Mary Alice Cockrell). Theodore was the son of Sarah Ann Harcum. Tonya’s paternal grandmother was Edith Pauline Toulson (the daughter of Charles Thomas Toulson and Bessie M. Jackson). Edith was born in Virginia. Charles was the son of Zephania/Zephaniah Toulson and Susan E. Virginia Pryor. Zephania came from a line of free men of color, going back to at least the late 1700s. Tonya’s maternal grandmother was named Lillian B. Glenn. The Denver Post wrote of Tonya, “She was born to parents who were descended from slaves and lived in Milwaukee and St. Louis before moving to New York City, where her father had a 30-year career in the finance department of Philip Morris”. Tonya is pictured with her parents and husband here. Her paternal grandfather was Spencer H. Lewis.